One on one. Head to head. Toe to toe. Pick your favorite. 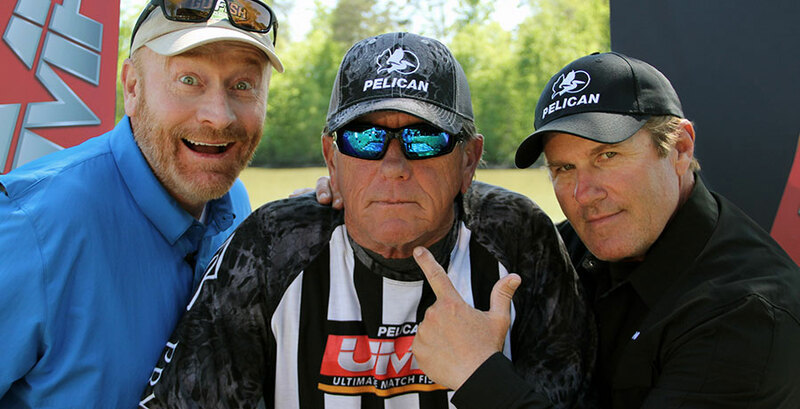 Ultimate Match Fishing pits two professional anglers in one boat and let them battle it out on some of America's premier bass fisheries. Now entering our 8th season, UMF has reset the bar when it comes to pure bass fishing excitement. The top bass anglers in the world from both the BASS Elite Series and the FLW Tour fight for the $50,000 grand prize and a chance to claim the UMF Title Belt. Each season we start with 12 anglers. The competition begins with 6 first round single elimination matches. The winning anglers advance to the Title Round where ultimately two anglers are left standing. Then, a winner take all title match determines the UMF Champion. Past winners include Rick Clunn (2005), Luke Clausen (2006), Boyd Duckett (2007), David Walker (2008), David Dudley (2009) Luke Clausen (2010- Only 2-time champion), Anthony Gagliardi and Jeff Kriet (All Stars). Other notable contenders to fill the UMF ranks in the past include Kevin Van Dam, Jimmy Houston, Brent Ehrler, Denny Brauer, Gerald Swindle, Mike Iaconelli, George Cochran, Andy Morgan and the list goes on!